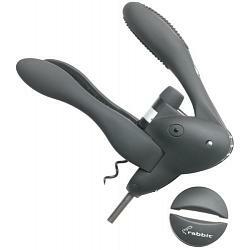 This lever-style Rabbit Corkscrew from Metrokane is very easy to use and combines modern style with function. The black corkscrew is made from super strong polycarbonate, metal, and reinforce nylon for a nice touch and wonderful grip. 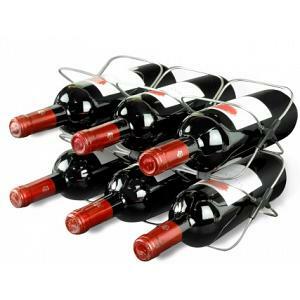 The rabbit uncorks any wine bottle with a simple pull and your guests will be impressed with the look and ease of use of this fantastic wine bottle opener. The original rabbit corkscrew has ergonomic grip pads, comes with a foil cutter, and extra spiral worm, and carries a 10 year warranty.